How do I find this source? "Org. Lett. 2013,15,6270-6273" - Ask Us! Q. How do I find this source? "Org. Lett. 2013,15,6270-6273"
It's an assignment from our Organic class. Org. Lett is an abbreviation for the source Organic Letters. 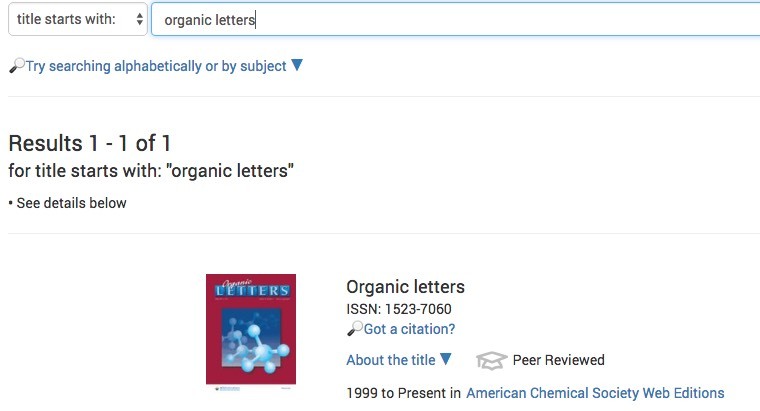 Search Journals A-Z to see if the Library subscribes to this journal. Type organic letters or the abbreviation org lett in the "title starts with" box. 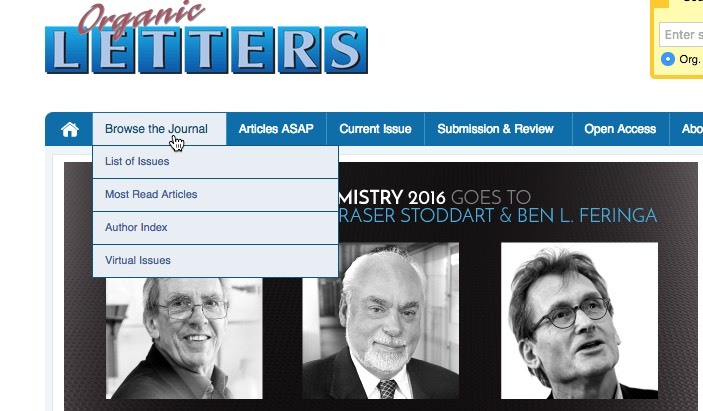 Click on Browse the Journal to see a List of issues. Locate the article by the page number 6270-6273.